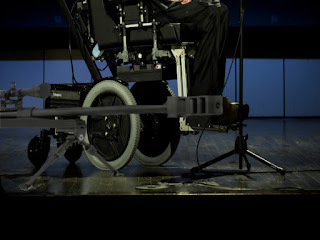 03-13-2013::Show No.69 - Science Redux: It All Started With A Big Bang!!!! The Science Redux episode. A quick primer on shooting math; the physics of handgun recoil; what Tenifer is; is there really Tupperware in a polymer gun? Plus a special science guest! If I remember my freshman physics from college, it all comes down to F=MA. That is, Force equals Mass times Acceleration. Am I correct? It would seem that the calcs that you and Prof Cunningham were doing boils down to that with some variations thrown in like gravitational constant. Any chance getting an mp3 of Hawking singing Led Zeppelin? That Led Zepplin medley had me on the floor LMAO. Many thanks. Your Zepplin medley rocked. I LMAO. Thanks. Great show! One thing I'll take issue with: a heavier gun does not really absorb recoil energy, it reduces felt recoil by changing the impulse characteristics transmitted to the user. The inertia of the heavier gun spreads the recoil impulse over a longer time period, resulting in a lower peak force. John, Correct F=MA. But keep in mind that also applies to gravity, friction of air and any other external force, so technically they have to be taken into account. Anon 3, Yes reduces peak, In a larger gun, it has more mass (all things considered), which acts as a decelerator (F=MA). Absorption of recoil was just a descriptive used by Grant. He was just describing that it takes the hurt down some. All, we enjoyed doing the show. I had fun with Hawk. He raps too! Listening to Grant talk about the science of recoil is better than listening to someone read good poetry. Fine words to a gun geek. I loved it.